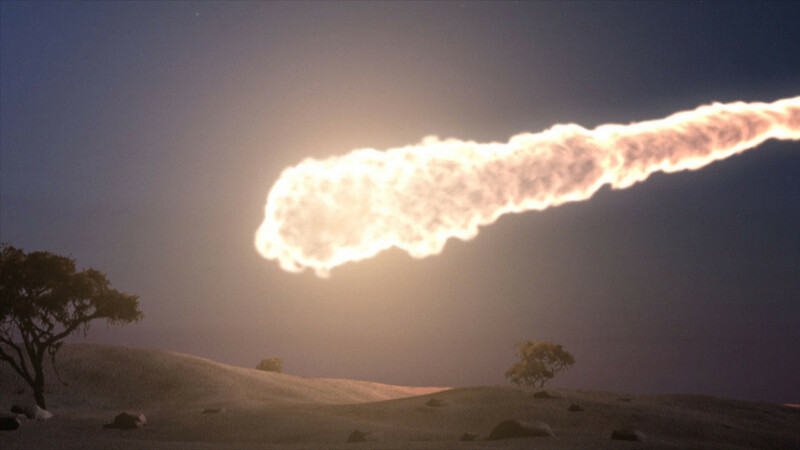 Some actual recent footage of meteorites streaking through the atmosphere. A large mountain sized asteroid would give off significant radiant heat as it streaks through the atmosphere, before it even hits the ground. Various studies have listed this phenomenon as one of the possible outcomes from a large asteroid strike which blasts a large amount of matter into space, which later falls back through the atmosphere over a very wide area. In this scenario, some of the material produced in a very large asteroid impact was blasted upward at a velocity greater than Earth’s escape velocity, although most of it eventually fell back into the atmosphere on ballistic trajectories after a travel time of about one hour. An asteroid of mass 1015-1016 kg would have supplied the observed iridium and spherules, in a depositional layer averaging 10 kg/sq m (about 20 pounds per square yard of Earth’s surface). Of course, half of the radiation was directed upward into space, and some was absorbed by atmospheric water vapor and CO2. Nevertheless, one-third reached the Earth’s surface. It would have taken most of the radiation to evaporate dense cloud, which would therefore largely have protected the surface beneath. Light cloud or no cloud would of course have given little or no shielding. Therefore, Melosh and colleagues estimate surface heating of perhaps 10 kilowatts per square meter for several hours, comparable with the heating in a domestic oven set at Broil. 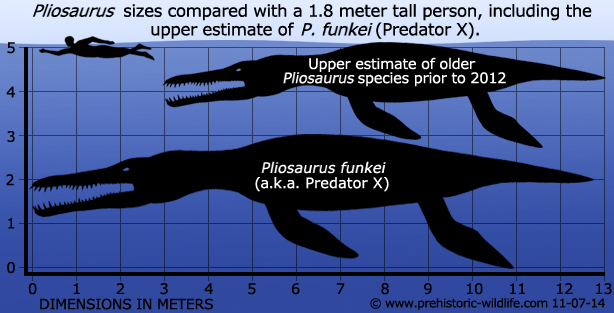 The very large creature that emerged from the depths while Frank and Heinrich were attempting to rescue Siobhan was thought to be some type of pliosaur.